By Leo E. Oliva. 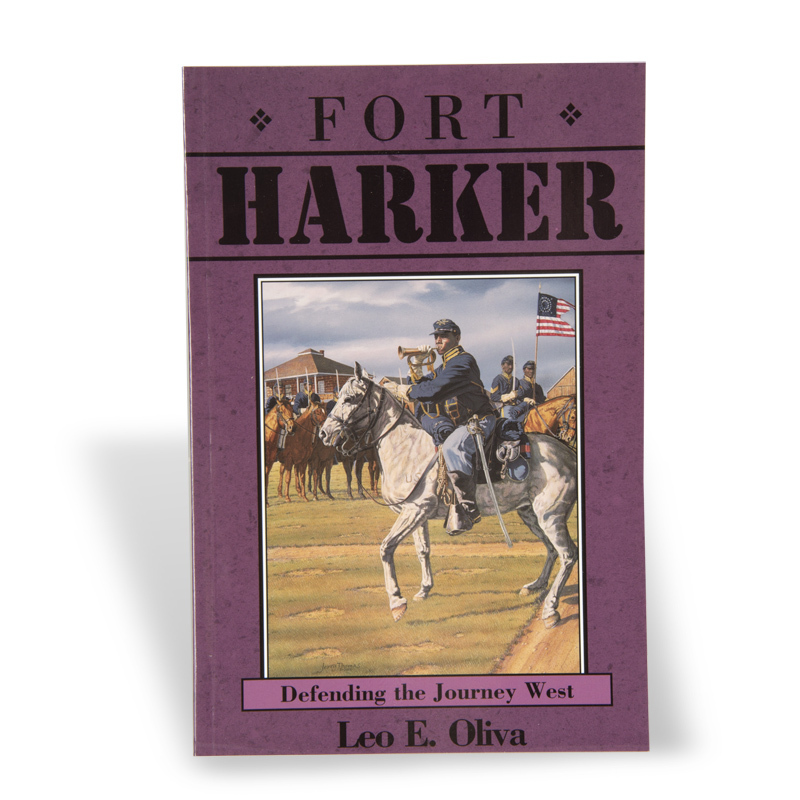 Fort Harker, established as Fort Ellsworth in August 1864 on the north side of the Smoky Hill River at the juncture of the Fort Riley-Fort Larned Road and the Smoky Hill Trail, was founded to counter Indian resistance in the region and help forward supplies to miltary posts farther west. It also served as command headquarters for the District of the Upper Arkansas. Volume 7 in the Kansas Forts Series, published by the Kansas Historical Society, documents the history of eight important Kansas forts through historic photographs, illustrations, and maps.